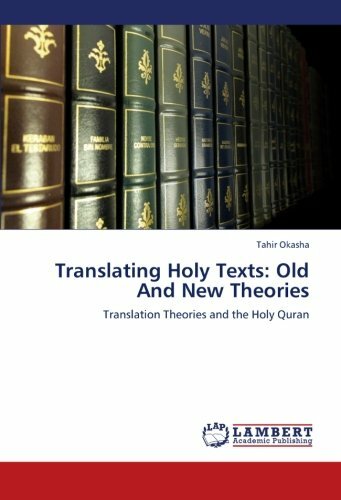 This research work offers some problems of translating the Holy Qur’an as an example of the translational problems that require the intervention of translation theories. An attempt is made to answer the question to what extent mingling theory and practice would have good results as far as holy texts are concerned. Translating the Holy Qur’an as a holy book is not as easy as translating an ordinary text. Translating a holy text requires knowledge and understanding of the linguistic context, (i.e. words, phrases, and sentences), the social context, (i.e. time, place, culture, sociological and historical environment) and authorized exegeses. Thus, the translator becomes occupied with rendering the tone, style and traits of a foreign culture totally or partially alien to the target reader. Tahir Okasha is an instructor and translator in King Faisal University. He obtained his MA in linguistics and translation in 2007.